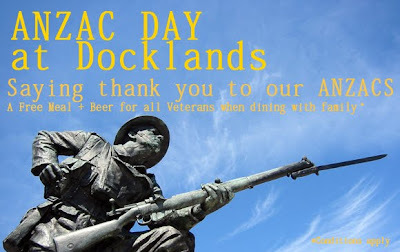 To honour our brave diggers this ANZAC Day, participating restaurants in the Docklands are offering a FREE meal and beer to all returned servicemen & women when dining with their families. 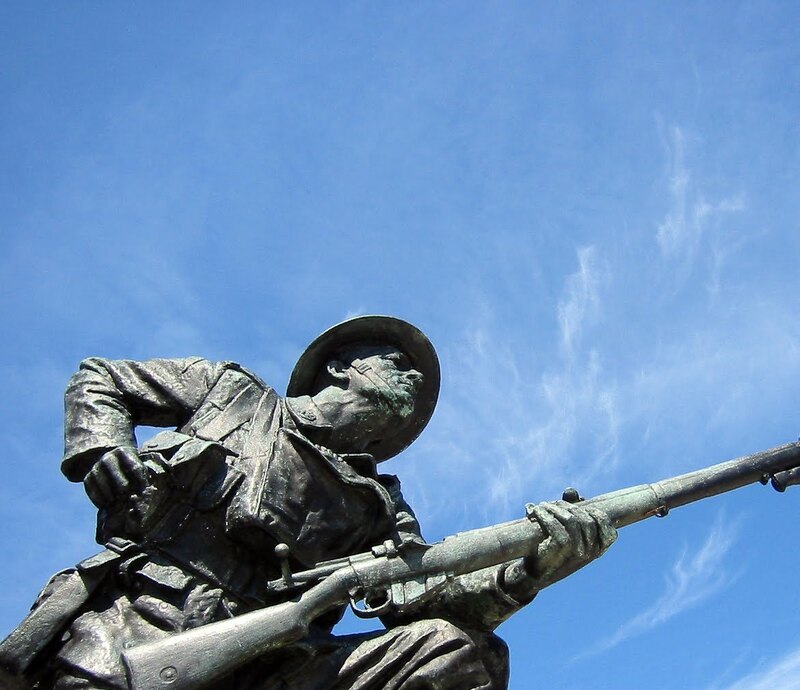 Veterans can order a main meal of their choice and a beer/soft drink for either lunch or dinner free of charge. The special offer is available Monday, 25th April and Tuesday, 26th April at participating restaurants. Char grilled Swordfish steak with lemon and thyme on Blood orange salad. This Easter Saturday, bring the kids down to Harbour Town for some family fun. 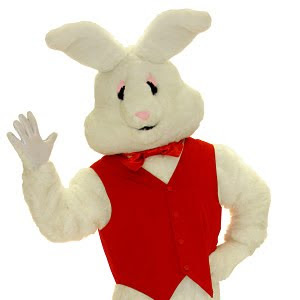 Try and spot the Easter Bunny; he’ll be hopping around the shopping centre from 11am – 4pm giving out special treats. Don’t forget to also check out the cute baby animals at the Free Bush Babies Animal Farm (outside Sanity) 11am-4pm. Make a day out of it and head nearby to Waterfront City for a bite to eat for lunch. Try every family’s favourite; fresh fish and chips at Livebait restaurant. The HIA Home Ideas Show is back in town from 28th April - 1st May. Home owners, renovators and enthusiasts will love finding new ideas for interior and exterior makeovers for the kitchen, bathroom, bedroom and backyard. Saganaki Greek Cuisine and Fish Seafood Grill are giving you the chance to see Australia's no 1 home & renovation expo for free. Spend a minimum of $30 at either Saganaki or Fish Seafood Grill from the 18th April to receive a complimentary pass to the HIA Home Ideas Show. One per person. Get in quick, limited tickets available! 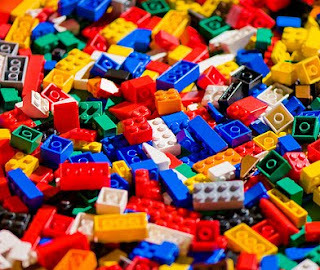 Keep the kids minds active these school holidays by getting them involved in a LEGO building event this weekend at Harbour Town! Get their creative brains going and watch what masterpiece they will come up with. They can win great prizes and each participant will receive a LEGO showbag. How to Enter: On the day participants book a time with the Event Organizer or join the queue. For bookings, contact Centre Management: 03 9328 8600 or visit Harbour Town Melbourne. Fancy a skate with the Simpsons? It's not everyday that everyones favourite disfunctional family comes to visit, but these school holidays Bart and Homer will be trying to keep out of trouble at Medibank Icehouse. Homer and Bart will add to the fun every day of these school holidays, skating between 11.30am and 7.30pm for The Simpsons Party on Ice! There will also be a Simpsons Activity Workshop for the little kids open daily between 10am and 2pm. The holiday program also includes live DJ’s, on-ice dancing and games, plus loads of giveaways – including Easter eggs! For more information, please visit Medibank Icehouse. Whilst at the Docklands, why not head to Steakhouse New Quay; a steak lovers dream! Located right on the water, Steakhouse features prime quality Certified Australian Beef, including Angus and Wagyu steaks. You can select from over 13 different steaks – cooked over the flame right before your eyes. You can watch the action on the grill from your seat on the wall mounted plasma screens. Steakhouse also lighter options, offering a large seafood and vegetarian menu. School holiday fun starts this weekend in the Docklands! School holidays are all about FUN! With the Easter Holidays beginning this weekend, keep the kids from climbing up the wall and spend a day at Wonderland Fun Park! From April 9-26, Coney Island Fun House opens in the fun park, starring Sylvester The Jester, a real life cartoon. 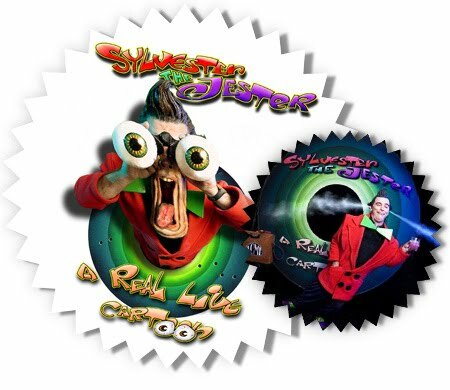 The kids will love his show; seeing steam come out of his ears, eyes popping out and making crazy music with his brain! Wonderland Fun Park is located at Harbour Town Shopping Centre, Docklands. Open weekends, public, and school holidays from 11am. Entry to the park is free. Sylvester The Jester shows are daily at 1pm and 3pm in the Coney Fun House. Bookings can be made at ticketek.com or 132 849. Whilst at the Docklands, take advantage of the Kids Eat Free offer! From Monday to Thursday kids eat for free in selected restaurants around the Docklands. Save your pennies as kids under 12 receive a free kids meal with every paying adult. Fish and chips at Fish Seafood Grill is always a hit for the kids, whilst a fresh seafood pasta is delicious option for the grown ups. Conditions apply. Visit docklandsmelbourne.com.au for terms and conditions and to see a list of all participating restaurants. Docklands restaurants are saluting our brave diggers this ANZAC Day with a free meal. Selected venues are offering all returned servicemen & women a free main and beer when dining with their families on Monday, 25th April & Tuesday, 26th April. This special offer is available Lunch & Dinner.